NBA Draft Blog Interview with Javonte Green. Javonte Green didn’t have a lot of opportunities if he wanted to play Division I basketball coming out of Brunswick High School in Virginia. 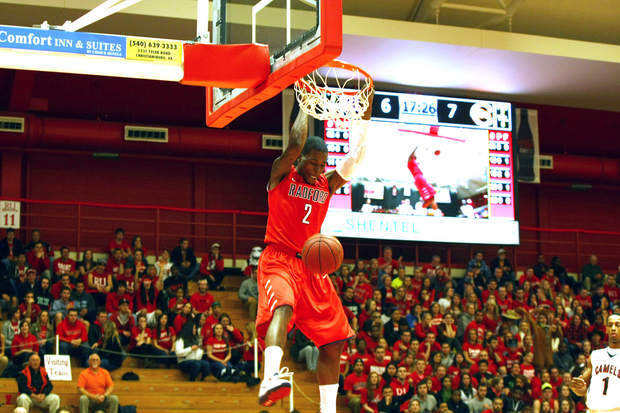 Radford was the only school that offered him a Division I scholarship. Still, Green didn’t let that prevent him from making an impact right away for the Highlanders. He made his mark on the team immediately as a freshman, finishing second on the team in scoring and leading the team in rebounding and steals. As a 6’4, 205 pound guard, Green would go on to lead the team in scoring, rebounding, and steals over his final three years at Radford, and he helped lead a team that won just 6 games his freshman year to back-to-back seasons of 22 wins in his junior and senior seasons. His senior year, Green averaged 15.4 points, 9 rebounds, and almost 2 steals per game, and he just graduated with a degree in Criminal Justice.